Are you looking for car dealerships in Harrisburg PA with cheap cars for sale near you? Then you need to make your way to Bob Ruth Ford. Bob Ruth Ford car dealerships near Harrisburg PA has the used car that you want. We have a broad and diverse selection of cheap cars for sale near you at our Ford dealership. With various makes, models, and styles at our dealership near Harrisburg. You will find a vast array of features and options to choose from on cheap cars for sale near Harrisburg PA at Bob Ruth Ford. We are sure that you will find the vehicle you desire here at our car dealership near Harrisburg. We have everything from cheap economy cars to cheap luxury cars. For those looking for cheap cars for sale near you that offer a high MPG, we have cheap cars that average more than 30 miles per gallon on the highway. Our sales team is here to guide and help you find the cheap car that suits your needs perfectly here at Bob Ruth Ford. Whether you are in search of a cheap car that will get you back and forth to the job, for your new driver, or just to keep money in your wallet, we have the one for you. And you won't have to feel like you are giving up your convenience features either! Power locks, power windows, and cruise control. These are some of the many convenience features that you may find on the cheap cars for sale here at our car dealership near Harrisburg PA.
One of the desirable yet affordable cheap cars for sale is a used 2007 Lexus GS 350 for sale. This cheap used car has all of the qualities most are looking for in a vehicle. Much standard safety features, convenience features, and it’s priced to sell! 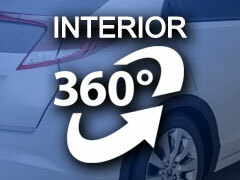 Including heated leather seats, a power moonroof, and Bluetooth. What more could you want when looking for cheap cars for sale near me. Come to Bob Ruth Ford car dealerships near Harrisburg PA and take this used Lexus GS 350 for sale out for a spin today. We at Bob Ruth Ford are here to make this is a pleasant experience. We want to get you into an excellent quality used car without breaking the bank. If this Lexus GS 350 isn’t the car for you, come by and take a look around at the other cheap cars for sale near you that we have to offer. See the styles of cars, their prices, and take one or more out on a test drive. From cars to minivans and SUVs to trucks, we have the cheap car for you right here. We will be glad to help you in any way that we can here at Bob Ruth Ford. When you are looking for a Ford dealership near Harrisburg PA, you only need Bob Ruth Ford. Come to Bob Ruth Ford at 700 North US Route 15 Dillsburg, PA 17019.